I had the busiest day at my job earlier today. Planned to write, edit then publish #WordSearchSeries at lunch time but that did not happen. I was only able to reply your comments on Not all wounds are visible which I totally appreciate and enjoy doing. (Please click if you haven’t read that article already). After dinner, I was about to take the couch potato position to catch up on Marido en alquiler which means Husband for Hire (its a spanish telenovela that has nothing to do with literally hiring a husband 😄😄) when I remembered I had not put up the new word from Wednesday. I thought about moving it till Thursday but I just started trying out blog scheduling and it is still too early to start rescheduling right? (it is certainly not the easiest thing to do because activities do get in the way). The other day I was going through a friend’s post on Facebook. It was an emotional post so I decided to go check the comments. That’s when I saw ‘Piety’. Someone had written “what a piety” instead of “what a pity”. I was going to shrug off the typo but then, piety seemed like a proper word so I grabbed my dictionary. Devotion and reverence to religious practices. A belief which is accepted with unthinking conventional reverence. The lady had a calm look of piety and total resignation to God’s will. 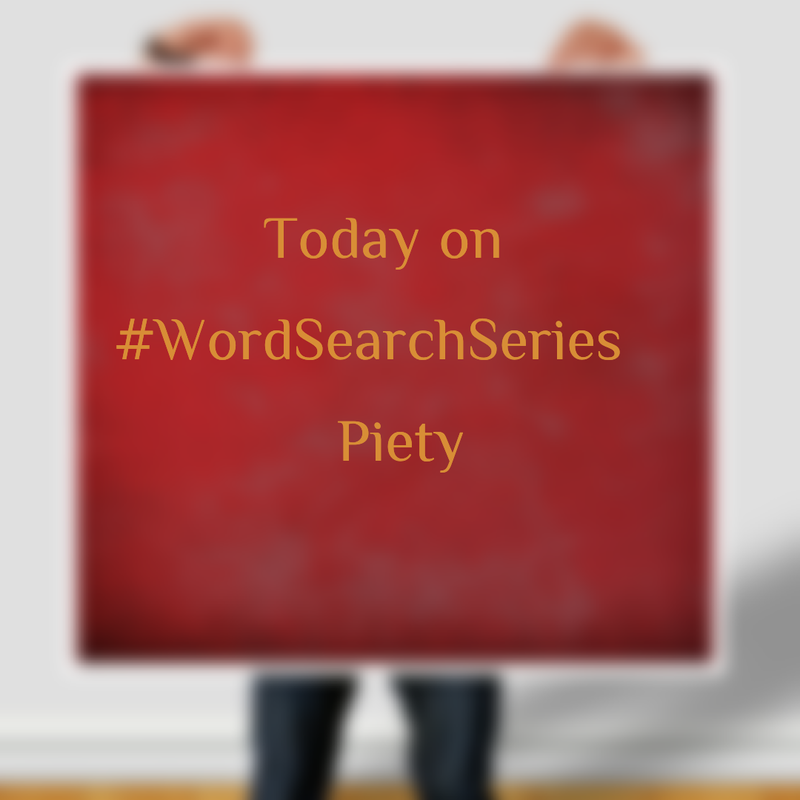 How would you use piety in a sentence? Piety – this is a new word to me. Thanks for doing the amazing word series. Previous Post Not all wounds are visible. Next Post An Award, 2 Tags and a Facebook page.